If you’re trying to cut the sugar from your diet, you might have to forgo the added fruits in your smoothies. Fruit smoothies can be full of sugar, even homemade ones, and we all know this is a big no no for our waistlines and health. Thankfully, there is a healthier way to enjoy smoothies. 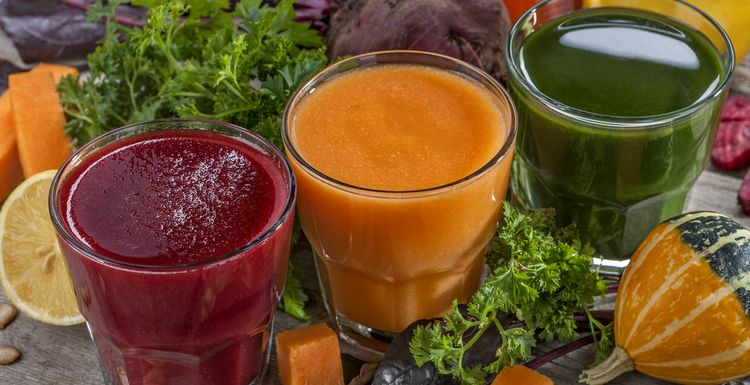 Fruit-free, green or savoury smoothies – call them what you will - are loaded with fibre and nutrients that are often lacking in fruit smoothies. Not only will you avoid that blood-sugar spike but they are also more alkaline, which will help to optimize your energy levels. There are countless green smoothie combinations you can do, so get creative. Try avocados, spinach, kale, cucumber, herbs, bell peppers, tomatoes, celery, courgettes, seeds, nuts and nut butters, almond milk or coconut milk. While you shouldn’t expect much sweetness from our recipe, the avocado and almond butter add a creaminess you will love. Before you know it you will be waking up craving one every morning! Place all the ingredients in the blender. Blend on high until creamy and smooth. Add more liquid to reach the desired thickness. Sasha, give it a go. I had this smoothie today and it was lovely! No it's not sweet as you may be used to it but I felt great afterwards. Personally, I don't see anything wrong with a piece of fruit in your smoothie, so i would use this recipe,. but whack in a banana too! hmmm not overly convinced but will give them a go. Suspect some sort of fruit is needed though?? Maybe carrots are sweet enough to take the place of fruit?? Great idea. I have used spinach in smoothies for years but never without fruit. I would never have thought of adding almond butter, which I'm guessing will add some sweetness. Definitely going to give this a shot.